Aaron Sorkin's big screen retelling of Walter Isaacson's Steve Jobs biography is engaging, entertaining and comes highly recommended, but I am concerned audiences will think what they see on screen is factually accurate. It's not. Editor's note: David Greelish is a computer historian, writer, podcaster and speaker. He is the founder of both the Atlanta Historical Computing Society and the Vintage Computer Festival Southeast. He has published all of his computer history zines along with his own story in the free e-book "Classic Computing: The Complete Historically Brewed." Greelish is writing special to AppleInsider. 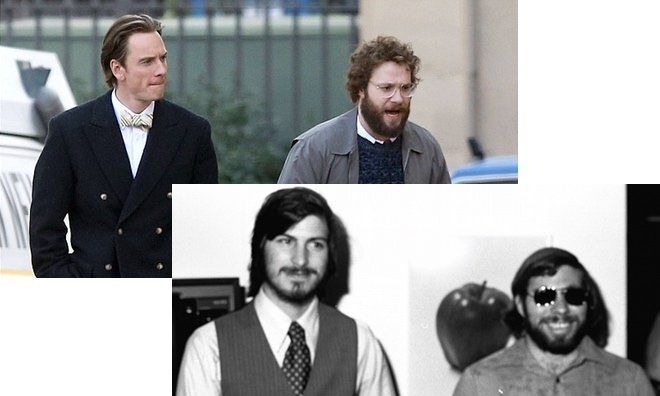 As a computer historian, I am particularly well versed with the history of Apple, the two Steves (Jobs and Wozniak), Macintosh, Lisa, John Sculley, so I know the real history versus that of Hollywood movies. However, your average person might not be interested in such details and is therefore likely to walk away from "Steve Jobs" assuming most of what they saw happened that way. Does it matter? Do moviemakers have any responsibility to present historical people and events accurately? With such a well-known figure as Jobs, is it OK to play with events, date-order or people's personalities? From the number of articles piling up online, and in comments said about them, people argue that this is simply a movie inspired by true events and not a documentary, so we shouldn't expect it to be historically accurate. It's true, I don't expect everything in a movie to be 100% accurate because movie producers do not generally have access to all of the real people. Even if they did, they can't necessarily duplicate exact dialog, settings, costumes, or even looks. 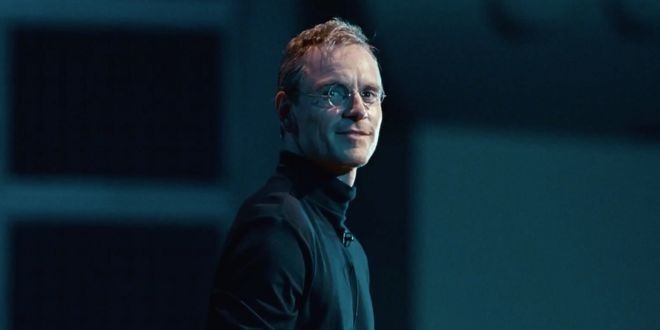 Many people think that while Michael Fassbender looks nothing like Jobs, his performance transcends appearances. 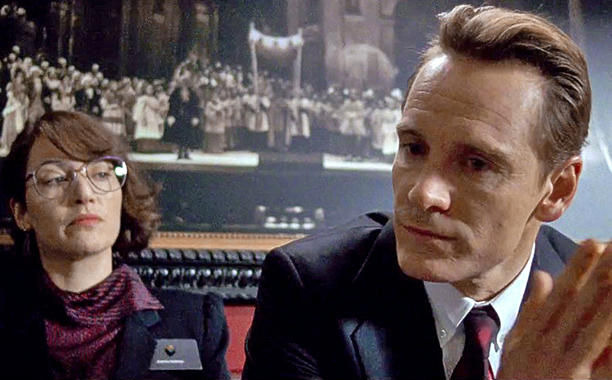 I agree, as early in my viewing of the film, I was able to suspend disbelief and allow Fassbender to become Jobs in my mind. "Jobs" unfolds in three acts set in 1984, 1988 and 1998, just 31, 27 and 17 years ago, respectively. I'm fine with artistic license to the degree that it produces a compelling story, but it doesn't seem right to me to play fast and loose with the facts. This same story, set during behind-the-scenes events at three significant product launches, could have been told while keeping historical facts straight. The serious problem I have with the new movie adaptation is not with actor portrayals, but rather liberties taken with facts or misrepresented events that have been reported in the public record through magazines, books and even movies. Jobs wasn't someone who was in his prime fifty years ago, but rather a highly public figure who just recently died in 2011. Right or wrong, for good or bad, Jobs truly believed in both what he and his company were doing and the products they created. There are numerous, flat-out fabrications in this movie, but the most egregious in my opinion happens in the second act, set during the 1988 launch of the NeXT Computer. In this scene, Sorkin has Jobs strongly hinting to his marketing executive, Joanna Hoffman, that the creation of NeXT is simply a clever ploy to one day sell it back to Apple, facilitating a triumphant return to the company he cofounded. To anyone who has researched Jobs or read the writings of those who knew and worked for him, this plot invention is truly an insult upon his character. Right or wrong, for good or bad, Jobs truly believed in both what he and his company were doing and the products they created. This isn't a mere story contrivance, but rather a severe twisting of historical accuracy. The other big problem I have is the one-dimensionality of Jobs' on-screen personality. In the past, he has been reduced to two main descriptors: jerk and genius. In "Steve Jobs" he becomes really just one, and it isn't genius. There is little indication of his brilliance, but what is more disturbing to me is that he is portrayed as a borderline sociopath with little regard for anyone except himself. The film does show Jobs display a bit of affection for Hoffman and then finally for his daughter Lisa in the third act, which by then seems rather out of character. Jobs was well known for lacking empathy, especially earlier in his life, but it is unbalanced to represent him this way. Kate Winslet (left) plays Jobs confidant Joanna Hoffman. I am also at odds with depictions of Steve Wozniak and John Sculley. Ironically, the film gives both a voice that highlights the truth of their roles in history, of which most people are unaware. Wozniak has already stated that he never spoke negatively as characterized in the movie, and that he never took Jobs to task about anything like what was shown. In fact, he was not even present at either the NeXT or iMac launches. As for Sculley, Jobs never spoke to him again after his ousting from the Mac team in 1985, though the movie has the former Apple CEO show up to both the NeXT and iMac launches as well. Sorkin positions Sculley as an elder father-figure to Jobs, though it would be more accurate to say he was more like Jobs' older brother, mentor and friend. With Wozniak, the movie actually rounds him out to show that he wasn't just some socially awkward nerd/technical genius, much like "the guy who fired Steve Jobs" has been the stereotype applied to John Sculley. The movie actually shows what really happened (mostly) to Jobs and Sculley in the boardroom showdown during 1985. It really is about time that Sculley got a reprieve from the false history that sees him fire Jobs and run Apple into the ground. I interviewed Sculley in December 2011 and helped set the record straight about his tenure at Apple. Sculley was hired to run Apple as its CEO. Jobs essentially forced him to take an adversarial position during an infamous boardroom clash, resulting in Jobs' departure. Sculley actually grew the company significantly before being let go himself in 1993, well before it started to seriously decline, at least in profitability. I liked what Sorkin did with Wozniak and Sculley, but I am uneasy with what he did with Jobs and some well-documented events. So, I guess I'm just a hypocrite then. I liked what Sorkin did with Wozniak and Sculley, but I am uneasy with what he did with Jobs and some well-documented events. If I had to choose though, I wish the movie just stuck to the truth. 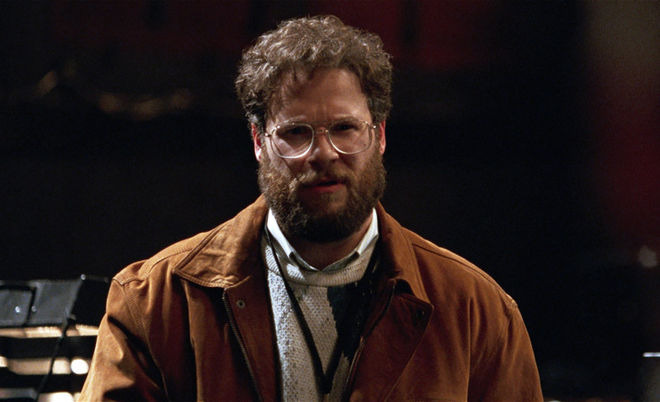 Maybe "Steve Jobs" should tack on a "based on a true story" disclaimer. I think most of us see that as a signal that though based on the real stuff, some liberal artistic license has been applied. "Steve Jobs" is an extremely thought provoking piece of cinema, so my hope is that it will inspire and promote many to seek out the full and true stories of the people and events portrayed. Those interested can start with the movie's inspiration, Walter Isaacson's official Steve Jobs biography, and move on to "Becoming Steve Jobs," co-written by Brent Schlender and Rick Tetzeli. Movies are like the Internet, you can't trust them and need to verify the information with at least two other independent sources. It is our burden to seek out the truth, and only in doing so can we hope to find some portion of it.